The CoolSculpting treatment has just received clearance from the Food and Drug Administration (FDA) for abdominal fat reduction. The treatment, which used cold to selectively damage and remove fat cells, had been previously cleared for noninvasive fat layer reduction in the flank or love handle area. What does this new clearance mean for doctors and patients? The treatment has been available for nearly 3 years representing the first noninvasive fat reduction method with good clinical data supporting efficacy. 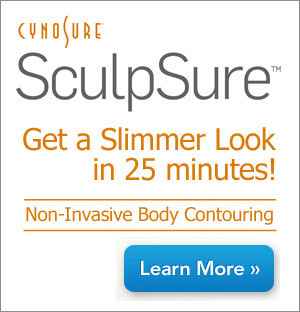 Just a single treatment will typically produce a 20-25% reduction in the thickness of the fat layer. Even though the clearance was for flanks, abdominal areas have been frequently treated “off label” by doctors with excellent results. Research studies have been published and presented detailing the results in the abdominal area and providing assurance to doctors that this was safe and effective. Having a formal FDA approval provides additional assurance that a substantial body of data regarding safety and efficacy exists for this specific application area. Recent studies presented at the annual American Society for Laser Medicine and Surgery meeting further bolster this picture of success. One paper, authored by Mayoral et al., examined the results of multiple treatments in the same area. A series of two treatments was found to produce noticeably more improvement than one treatment. Another paper by Boey et al. demonstrated the beneficial effects of massage for several minutes after a cycle of CoolSculpting to increase the amount of fat loss by 68% compared to CoolSculpting alone. These data point up the consistent beneficial results obtained with the noninvasive treatment. Amounts of fat reduction remain less than that obtained with surgical procedures like liposuction. Click to read Zeltiq Inc.’s announcement about the recent FDA clearance.